Sometimes riding in a police car can be a good thing. For the sixth year in a row the Antioch Police Department has participated in the "Shop with a Cop" program, which provides food and presents to needy families with children between the ages of five and 12. The event, originally suggested by Mark Scarpelli from Raymond Chevrolet, is sponsored by several businesses including Wal-MartSuper Center of Antioch and Mattel. The most recent event, which took place Dec. 16, treated families to a pizza party, tours of the station and Christmas caroling. 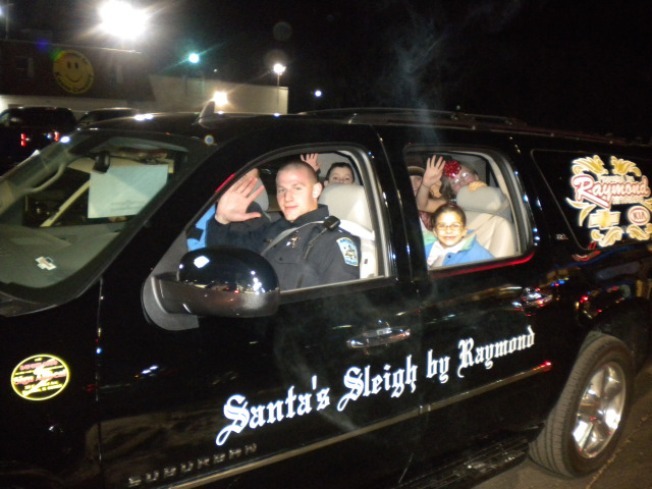 The lucky recipients were then transported -- via cop car entourage, of course -- to Ray Chevrolet and Wal-Mart where they enjoyed a special shopping experience with Santa himself.